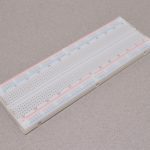 Solderless breadboards are one of the most useful things out there. 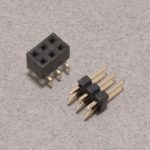 Without them, prototyping circuits becomes a lot more cluttered or a lot more permanent! 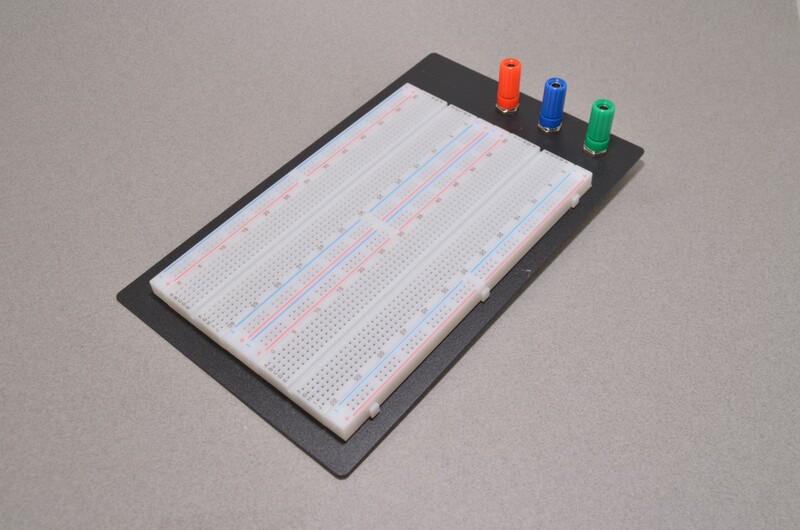 These breadboards feature rows and columns of interconnected sockets. Components can be placed in the breadboard and connected up using hookup wire or jumper wire to test a circuit, changed as necessary, and eventually ported to a more permanent solution once all the bugs are worked out. 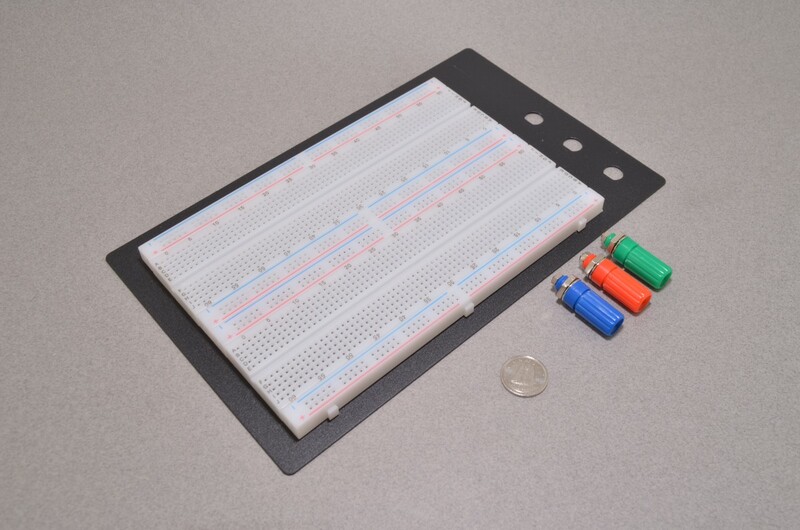 This breadboard is considered 'extra large sized' and is mounted to a metal plate. 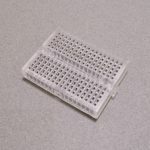 There are also three binding posts that mount to the plate, allowing for banana plugs or large power wires to be easily connected and tied to the power rails on the breadboard. 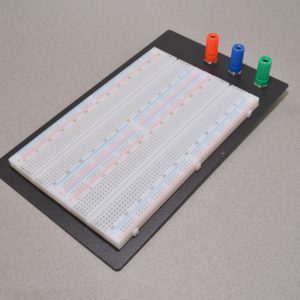 The breadboard itself features 1660 tie points in 8 interconnected power/ground columns and 126 interconnected rows. The plate measures 8.50″ x 5.125″ (215mm x 130mm) and the solderless breadboard measures 6.5″ x 4.25″ (166mm x 109mm). SKU: PROTO-065. 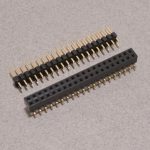 Category: Solderless Breadboards. 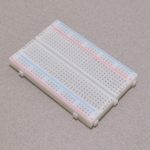 Tag: Breadboard.